or handled the subject of aging and dementia- sensitive and empathetic, but without any kind of sugar coating. 17 year old Hattie is pregnant- she knows it, we know it very quickly too. Her flaky, charming, debonair friend Reuben doesn’t know it though, and he’s the father. He’s currently drinking and seducing his way through Europe. In an attempt to avoid having to have the “baby or abortion” conversation with herself, Hattie instead finds distraction in a long lost great aunt named Gloria. Contacted via a neighbour, Hattie learns not only that Gloria exists, but that she is also not in good health. Upon their initial meeting, scathing, cold Gloria seems drunk and cruel- and not that keen on Hattie. Hattie is trying to dig up details about the dead father that she barely remembers, but Gloria is being deliberately difficult. She seems to be struggling with the early stages of dementia and lashes out, resulting in Hattie revealing that she’s pregnant. Pregnant and miserable. After she storms out, Gloria becomes keen to make amends- suddenly Hattie Is more interesting, and Gloria suggests a trip for the two of them. A bucket list trip where Gloria gets to revisit places that have impacted on her life. She considers to herself that as the only keeper of her secrets, the truth about her family and her past is quickly receding from her memory- and once she forgets, the secrets, and technically Gloria will cease to exist. I loved the dual narrative- Gloria takes us back to her adolescence, her spirited teen years and her first love with Sam. She reveals her story bit by bit, claiming forgetfulness when it gets too painful and doesn’t want to go on. Gloria’s memories are full of fascinating social history and cruel glimpses into the prejudices and attitudes of the post war era. Her home life sounds awful, but her love for her sister Gwen, Hattie’s Gran is obvious- we puzzle why they lost touch and why Gloria didn’t attend the funeral. Hattie becomes a historical detective, determined to uncover Gloria’s history. It’s a gripping, devastating mystery that seems so cruel and unfair. I loved that the growing trust and (sometimes begrudging) affection between Gloria and Hattie is the crux of the story- not romance, or revolution. It's a private, slowly burgeoning relationship built on the balance of experience and age, and youthful enthusiasm. I loved Gloria. I loved how stubborn she was, how arch and sarcastic. Partially to protect herself from her increasingly vulnerable neurological state, partially because she’s not going to stop being a sassy devil any time soon. She’s old school glamourous, suffers no fools and needs only herself and a gin sling to be happy. As the story goes on, her strength and bravery becomes more apparent, and the reader’s heart breaks for how much she has been through, resolutely refusing to let it crush her. The secondary women in this novel are all brilliant too- they have their own temperaments, flaws, life goals, agency. Edie is brave and wonderful… Alice, Hattie’s little sister is basically a micro Gloria, and Hattie’s best friend Kat and her Mum too; we just don’t see enough of them. I want more interesting, flawed, opinionated women just *being* together. It’s something I don’t think happens enough in literature. 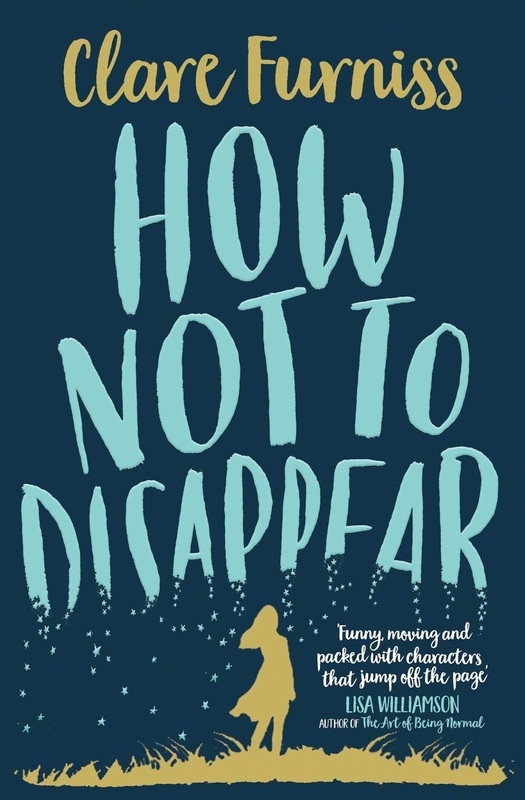 How Not To Disappear manages to touch on so many issues, but manages to avoid being preachy. It feels very real, very true, and imbued with that sort of barely-believable, tragic ‘scandal’ that blights the past of most families. The problems encountered by these characters feel real, the characters feel real. We feel invested in the consequences. The importance of the decision making process is really highlighted- it is suggested that a person can never feel real regret if they made the decision that was right at the time. The book deals too with decisions that are taken away or made for someone. 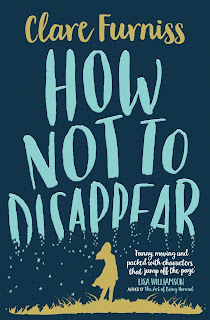 In conclusion, How Not To Disappear is a wonderful dual narrative story about estranged relatives getting to know each other. It’s about how society and social attitudes change, but they don’t change enough. It’s about doing the right thing for yourself, admitting responsibility and letting yourself be open to people, to heartache and to pain. It’s about me memory and emotional trauma and how unfair life can be. There are wonderful characters, funny dialogue and one of the most badass old ladies in YA fiction.